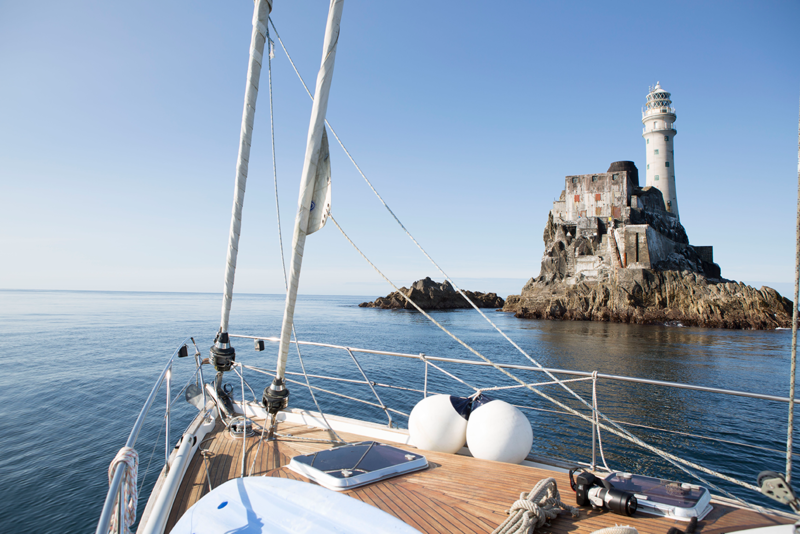 How would you like to swim from the Fastnet Rock? We are offering you an opportunity to join an elite group of swimmers who have completed the Fastnet Swim. Starting at the Iconic Fastnet Rock and finishing at Baltimore pier. It is 21 kilometers of some of the most beautiful wild water that Ireland has to offer. The tide rises 12 feet and currents round the rock at spring tides can attain a force of 3 knots. It is a very rare occurrence for the water to be sufficiently smooth to enable people to step out onto the rock, averaging about 12 tides a year. If you'd like to become part of the Fastnet story, get in touch.